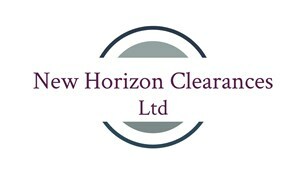 New Horizon Clearances Ltd - Rubbish/Waste/Clearance based in London, Greater London. Formed in 2018, New Horizon Clearances Ltd has gone from strength to strength. The company was initially set up by the director Victor Alaneme as a small start-up but we are now holding our own against the big boys and gaining more and more repeat and new customers in the process. With over five years experience in waste removal be assured you are in good hands. We guarantee to beat all quotes and promise to save you further costs by recycling and/ or donating usable items, whilst also helping the environment, local charities and the community in the process. We remove anything from furniture, white goods like dish washers, washing machines, cookers, and soft furnishings. We clear residential properties, council properties, garages, lofts, gardens, storage facilities, offices and commercial properties. We also offer an end of tenancy clearance, whether you are a tenant leaving your property needing it ready for landlord inspection or you are the landlord and looking to get the property cleared and deep cleaned ready for your next tenant. Clearing a property for a deceased friend or family member? We are here to assist you to complete the work with minimal disruption and the respect and dignity it deserves.